How do I remove someone from a project? Only a Project Organizer can remove people from a project. 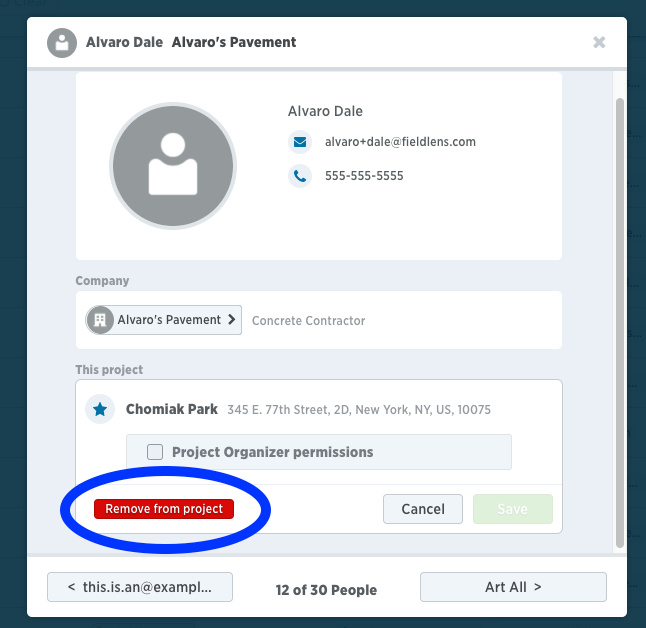 If you’re the Project Organizer, click into the People page from the web app to get started. Use the search bar or filters to find the right user profile or simply scroll down the list. Click on the name of the person you'd like to remove - this will open their user profile. At the bottom left you'll see Remove from project. Select that and then the click the confirmation to remove them.